I was in line at Long’s this afternoon and noticed a sweet older lady buying some mochi — and, that immediately tipped-off the cashier, who asked her if she’s doing that for New Years. It made me realize something I love so much about this place — we really are a melting pot of traditions. What the older lady in the checkout line was likely preparing for was a night full of mochi pounding. One of the traditions of Japanese culture in Hawaii is the making of mochi, or rice cake, by pounding steamed glutinous rice by hand. Japanese tradition dictates the rice is pounded in an usu, a wooden or stone mortar, with a wooden hammer. After the mochi is pounded into a soft batter-like substance, you mold it into mounded patties. During New Years, the patties are used as symbols for good luck in a decoration called kagami mochi. Mochi is also eaten fried and dipped in a sauce of soy sauce and sugar or used as dumplings in ozoni, a clear broth soup with special seasonal vegetables customarily eaten during this time of year. 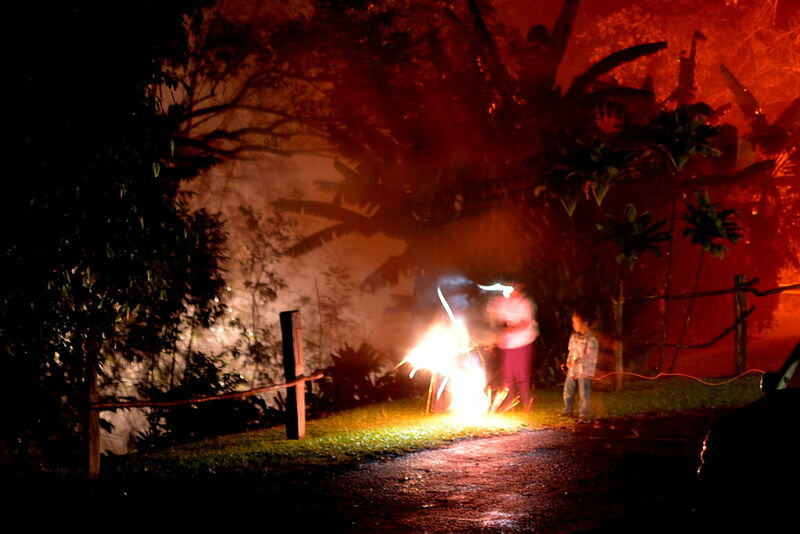 In Hawaii, New Year's fireworks displays and home use are more popular than the Fourth of July. Fireworks actually started with the Chinese, so it’s no surprise they’ve made their way as an important tradition in Hawaii. On the mainland, you may find more fireworks during Fourth of July celebrations. But, here in Hawaii, more fireworks are exploded during New Years than another other time of year. Hawaii’s residents of all ethnic groups have embraced the time honored Chinese tradition of exploding fireworks to usher in the New Year. Used to be, anyone could shoot-off fireworks, but there was so much smoke and fire damage, they’re now deemed a health and safety hazard. So today, only a limited amount of fireworks can be legally set off by citizens on private properties. Fireworks are certainly one of the favorite New Years traditions in Hawaii. But, even if you’re not here during that time, you can still see fireworks in the Hawaii sky — both the Kahala Hotel and Resort and the Hilton Hawaiian Village host fireworks shows on some Friday nights. And, you can catch them every Friday night at Ala Moana Beach Park. 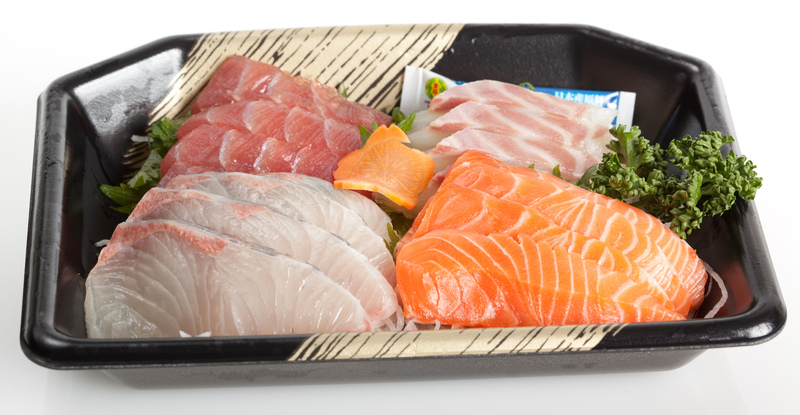 Sashimi is an extremely popular New Year's delicacy in Hawaii. Tuna sashimi can be hard to find it's in such demand. Jook is a rice porridge typically flavored with bits of cooked chicken and salted or preserved duck eggs, garnished with pickled vegetables. And, preparing and eating it is an integral part of Hawaii’s Chinese tradition for the New Year.This dish is usually eaten after the clock strikes midnight on the first of January of each year. Just about every year, the front page of the local newspaper features a story about the availability of ahi (tuna). Why? Because it’s so popular during New Years in Hawaii. Eating sashimi, or Japanese for sliced raw fish, most typically tuna or ahi, is one of the key food dishes that locals must have during New Year party celebrations. Sashimi is typically served on a bed of shredded lettuce or cabbage with a dipping sauce comprised of soy sauce and wasabi (horse radish). If you’re in the islands over the holidays, consider taking-part in one or more of these tie-honored New Years traditions in Hawaii. Maybe you can even bring these traditions back home!